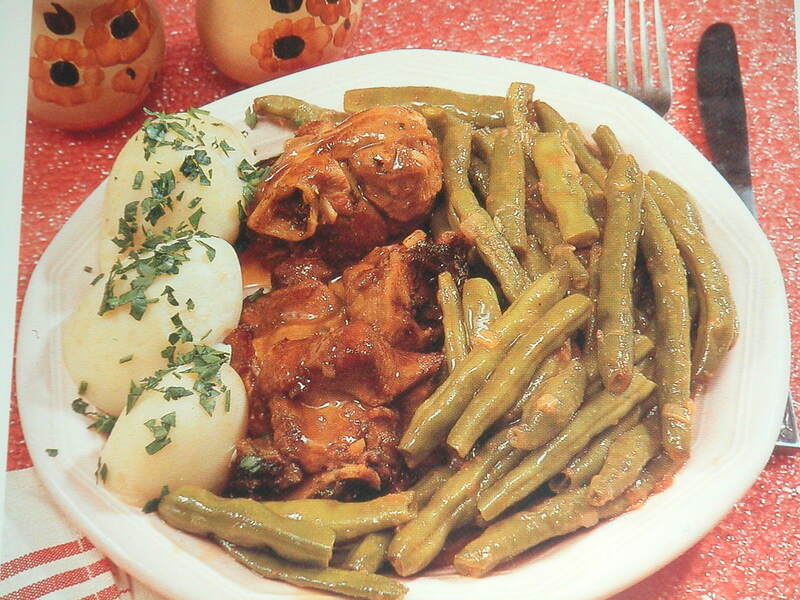 The Greek definition of “fricassee” may differ from what you know in your kitchen, and this is a Greek classic. 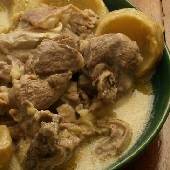 Lamb fricassee with avgolemono (a traditional egg-lemon sauce) is a favorite in Greek homes. It’s an easy recipe to make and a celebration of taste. It is equally delicious made with kid. 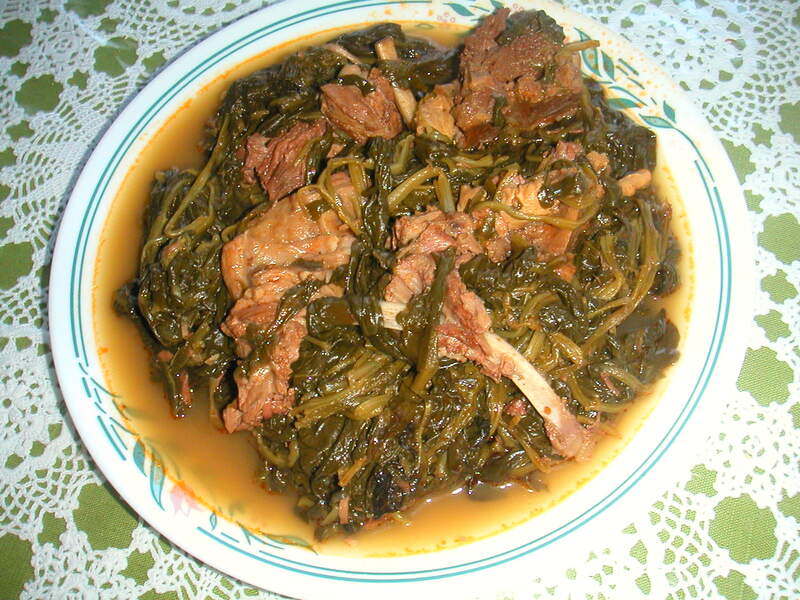 Boil the lamb in enough water to cover for 10 minutes. Drain. 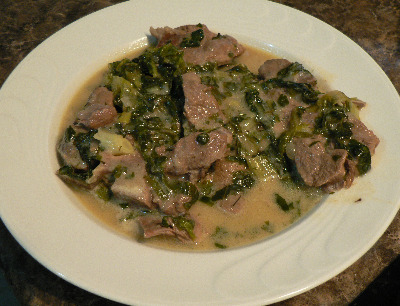 In a frying pan, heat the oil over high heat and brown the meat. Add the onions and cook until they soften. Transfer to a stew pot with 1/2 cup of water, celery, salt, and pepper. Cook, covered, for 30 minutes over medium-high heat. Add dill and lettuce, resume boil, reduce heat, cover, and simmer for 1 hour. 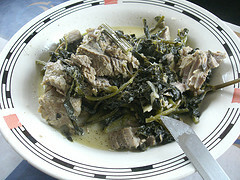 When the fricassee has cooked and only a small amount of liquid remains in the pot, turn off heat. In a small bowl, whisk together the egg whites with 1 tablespoon of cold water until frothy. Whisk in the egg yolks and lemon juice. Add 1-2 ladlesful of liquid from the pot to the egg-lemon mixture and stir gently. Slowly pour the egg-lemon sauce over the meat. With a wooden spoon, stir gently 4 times. Then shake the pot gently side to side to distribute. Allow to sit covered on the stove for 20 minutes before serving.